We’ve spent the past week fantasising about a world where sugar is good for us and our pants still fit, but now that Mother Nature has cranked up the heat to the point of absurdity, we don’t require pants anyway. Who needs expensive highlight palettes when you’ve got sweat? This just in, Brisbane’s set to welcome a new urban retreat this Thursday! This stunning new hotel is more structured than our lives will ever be, with a unique and stylish fit out, an outdoor pool, and a full-service spa. 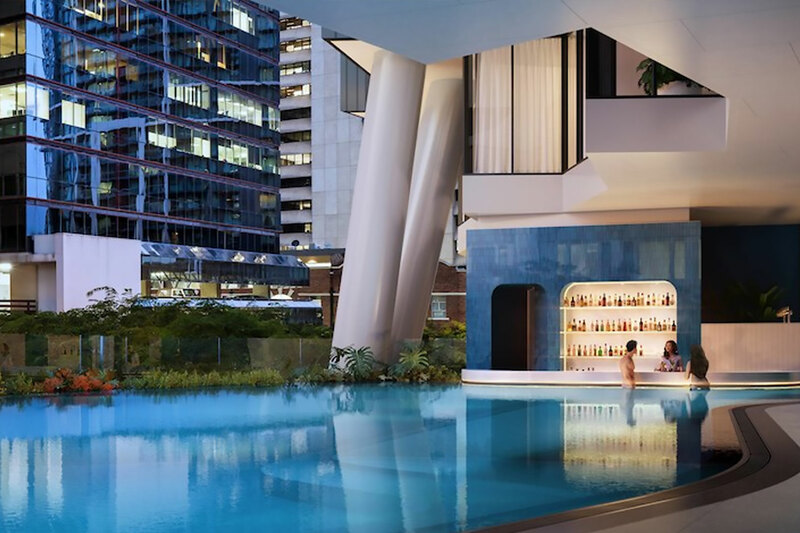 But we’re most excited for their two restaurants, signature Eden’s Table, and Brisbane’s first pool bar, The Nautilus. When it comes to escaping the summer heat, there’s no better place than Yeronga’s new café serving all-day brekkie, brunch, and lunch. From the team behind much-loved Goodness Gracious Café comes Hyde Away, serving everything from bacon and eggs to smoked salmon and pot roast fennel with sweet potato and carrot fritters. Better yet? It’s pet friendly. Woof. A former factory turned underground café? We’re dead. Six Feet Under serves all-day eats including goat’s milk panna cotta and peaches, scallops with black pudding, and katsu fried chicken on milk buns, and with smooth coffee by Genovese, you won’t want to leave. We’re practically living here. Take your tastebuds on a journey of teariffic proportions at Tour de Tea’s boutique New Farm storefront. This family-owned business is a tea-lovers fave, operating from a local farmers market since 2009, and if you haven’t enjoyed a cuppa of their finest brews, you’re missing out. Stop, broth and roll straight into the loving arms of David’s Hotpot. The second venue for the popular restaurant, Calamvale Central is now home to the Sichuan hotpot eatery, serving aromatic spicy soups made with fresh ingredients. It’s getting hot in here. Here it is, our last full week of winter for the year. This weather has us more confused than that time we saw Inception after a few too many sangrias.